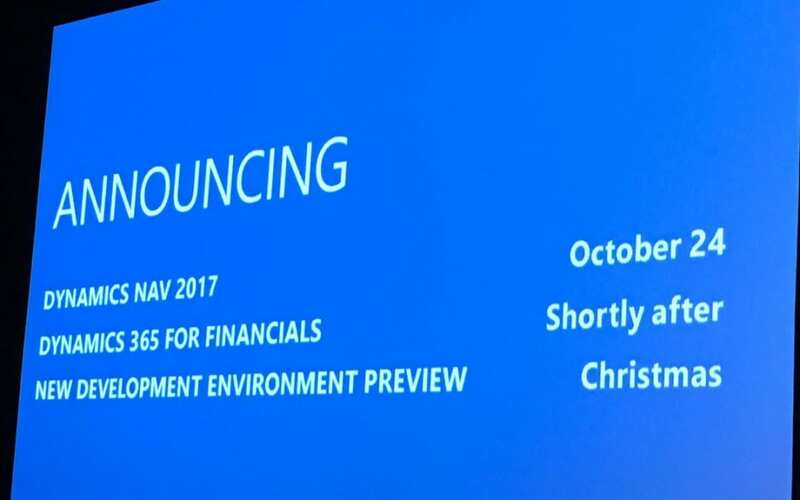 Microsoft Dynamics NAV 2017 is nearly here. Today we’ll have a quick look at how Microsoft are pushing NAV to work ever-closer with Office. Office 365 – Why integrate the products? More attractive, accurate communication via visually-pleasing email messages with embedded invoice information, readable on any device, without opening any attachments. Consistent messaging using company-wide templates regardless of who sends the message, or the device used. This is just a small part of Microsoft’s new mission of empowering everyone on the planet to achieve more. Noble aims indeed, but not completely altruistic – this of course widens the range of Microsoft products and numbers of licences sold, and makes each individual application more “sticky”. What specific features are there? You can now create beautiful, professional-looking email cover-letter templates that include images and invoice information, such as totals, due dates, and payment terms, to use when sending emails to customers. For your organisations using Office 365, Dynamics NAV 2017 includes an add-in so you can invoice your customers based on entries in your Outlook calendar. From a calendar appointment, you can open the Dynamics NAV add-in and get an overview for the customer associated with the appointment. Then, you can create and send an invoice for the services provided in the meeting – all of this happening right in the Outlook calendar. Microsoft Dynamics NAV 2017 will work directly with attachments in emails. Users will be able to send the email attachments directly to the Incoming Documents list in NAV 2017 and process PDF files via an OCR service so that the invoice information can be added automatically to NAV – with a much lower risk of errors and much higher levels of productivity. The Contacts List in Dynamics NAV can be synchronised with Office 365 People, and vice versa. This can be done manually, and also filtered so you only sync the contacts you want, rather than everyone (many of whom will be irrelevant to NAV). If you work for a Microsoft Partner, look at the marvellous Dynamics Learning Platform (DLP). If you are a freelance or independent Dynamics consultant, we’re delighted to say that you can now get access to specialised Microsoft Dynamics training and professional resources via 365 Talent Portal. For those who like information in bite sized chunks over time, we’ll also be publishing more in this series over the next few weeks. Keep a track here. About us: 365 Talent Portal is the first online platform that enables thousands of Microsoft Dynamics consultants to improve their technical, consulting, and soft skills, as well as advertise their profiles whenever they choose to look for work. This profile gives Microsoft Dynamics partners and end-users instant, direct access to them if they want to be contacted. With a network spanning 114 countries, it allows companies to search for consultants based on their detailed skills, rates and available dates, enabling them to find the best person for their projects without incurring the hefty fees typical of recruitment agencies. To find and hire excellent Dynamics resource, please register at www.365talentportal.com.